Automated lights have been around for a while. Smart lighting all started with simple timers, motion sensors, The Clapper®, and remote controlled plugs. But in recent years, the options and price have become more attractive to more people. In this entry, I'll be comparing the two more popular brands for today's version of smart lighting. Germany's Osram (Sylvania in the US) Lightify (Now sold under Osram's Ledvance brand) and the Netherlands' Philips Hue. Philips Hue was probably the first mainstream app-controlled lighting system on the market. Others had earlier attempts but none became as widespread as Hue. For good reason. 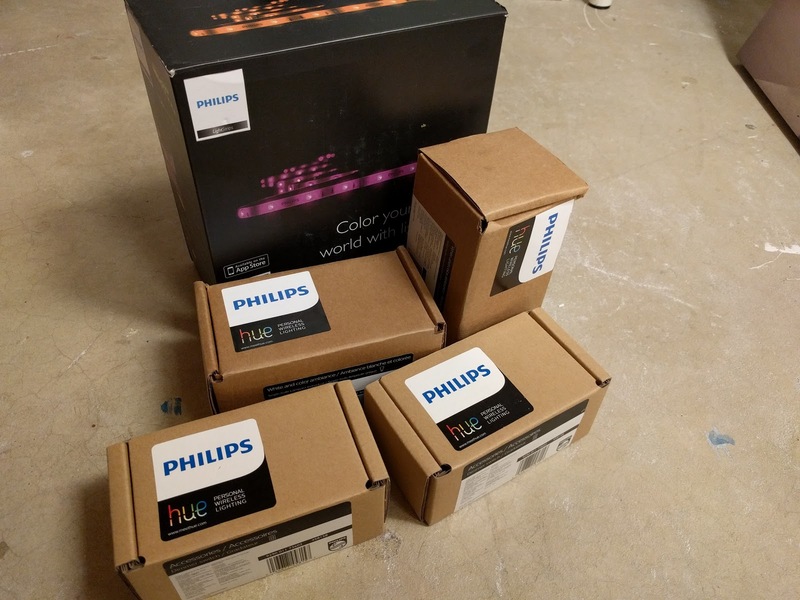 The marketing and partnerships that Philips had for Hue was great. Not to mention the semi-open. Although the lights still require a Philips bridge but the bridge can link to many more apps and is IFTTT compatible. But Hue products were still quite expensive and there were not many alternatives that could compete with their features and product support. Enter Osram. Osram has been in the lighting business for almost a century. So they are almost as experienced as Philips (founded 1891) when it comes to lighting. I still have Osram CFL bulbs from the early 90's that still work today which is a far cry from a lot of the newer non-LED offerings that barely last 3 years. Osram recently entered the smart-lighting scene with their Lightify line of products. 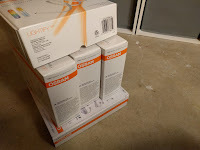 In the US, they sell under the Osram-Sylvania brand. Now under the new Ledvance brand, they are giving Hue some very good competition. Without going into a 3rd party controller like Wink or SmartThings, I will give a run down on the pros and cons of each system, which is better, and why you should start getting smart lighting systems. First up, Philips Hue. Very mature app. Recently updated, the Hue app is polished and offers cute moods that can use colors from a users favorite photo. Did you like a particular beach photo that you took from a vacation? Upload it to the app and it will use the specific colors and hues from that photo to create a unique lighting scene that only you have. Setup is quite simple, just follow the instructions on the app and press the pair button on the hub to pair each Hue product you have. You group lights into rooms and set routines and you're all done. Lighting can be changed through the app (or widgets if you're on Android) and offer extremely smooth transitions from one color to the next. For shifting mood lighting, you can't get much better than Philips Hue. Lightify can only fade on/off when manually turning on lights from the app. Hue offers basic bulb and LED strip replacements, and some unique lighting products like table orbs, and side table lighting lamps. The stylings are on the modern side so it may or may not go with your decor. If it doesn't you're pretty much limited to a regular E26/27 bulb choice or the LED strips. Going for about $35/bulb they are pricey. But if you don't need mood shifting colored lights, then they also have basic white bulbs for about $15. Now for the new kid in town, Osram's Lightify. Slightly cheaper than Hue, Lightify is a very solid alternative to Hue. App is a bit more utilitarian but offers some things that the Hue app doesn't. Setup for Lightify was initially a pain. You have to scan the hub barcode on the app before it even allows you to sign up for an account. This doesn't sound like too much effort, until the app accesses the camera and has a tendency to distort the image. I had to rotate the hub in all directions before the QR Code scanner recognized the code. On occasion, if you lose internet connection and attempt to open the app it will reset and ask you to scan the QR code in again, which is a pain since it's at the bottom of the hub which is plugged into the wall. You'll have to unplug the hub to scan the code in. I took a picture of my hub and just save the image for future use. But... for all that, I actually expanded my Lightify system more than my Hue system. Why? Options. How does Lightify perform... almost as good as Hue. This is where the two differ slightly and may steer you to one product or the other. I initially thought that by the end of my review, I'd have a clear winner and I'd recommend one or the other. But without using a 3rd party hub, these two have distinct differences that may appeal to some but not others. I personally use both but for different tasks. The main differences between Lightify and Hue are how the apps controls each system. Other than the basic off/on control, they both have automated features. Hue's routines trigger particular scenes that you choose or program in. To customize a scene, you set each individual light or room to the setting you want. Then you save the scene (this can be an individual light, room, or whole house) essentially taking snapshot of how you want the lights to be for that scene. The routines trigger the scene at your specified time and day. This means that the lights stay on. To turn them off at a specific time, you must create a scene where all or some lights are off, then save that scene, then trigger it at a specified time as well. Lightify schedules are different in that they function like scheduled timers. You set which lights/rooms/scenes you want to turn on at a specific time/day AND when they turn off. No need to create a new 'off' scene. The app also has a Vacation mode and TV simulation mode. The Vacation mode alters scheduled timings slightly to mimic an occupied house. For example, if you set your room light to turn on between 7pm and turn off at 11pm (for bedtime) while you're on vacation, Lightify will turn on at 7:10pm one day, or 7:05 the next. It may turn it off at 8:00pm then back on at 8:30pm. There will be slight variances so that the light won't behave mechanically. I think that's a great feature that Hue doesn't have out of the box. Why would the scheduling matter? It all depends on how you prefer to interact with your lights. Switching moods is much easier (and a lot prettier) on Hue. Lets say you want full brightness in the dining room for dinner, then later on, slowly fade to a dim after-dinner setting. Hue does this so much better. Since each routine is triggered separately, "Dinner lighting" at 7pm then "Mood lighting" at 8:30pm will trigger a very smooth fade from full brightness to dim at the specified time. Fading can be done instantly or over several minutes. Lightify on the other hand, can't do this. It will go from one scene to the next instantly. Depending on how drastic the scene change is, it can be jarring. Not to mention, scenes have to have on-off times so scenes have to have start-end times that are the same, or you'll end up in darkness. IFTTT is another thing all together, currently only Hue has an IFTTT channel. So if you're an IFTTT fan, Lightify is out. Another difference is grouping. Lightify allows cross grouping. One bulb can be assigned to several groups if you choose to include it in different groups. Like a hallway light can be grouped with both the kitchen and living room so that when you turn off all kitchen lights, and turn on all living room lights, the hallway lights will still stay on if you want. Hue won't allow this and can be annoying if you want more meticulous control over groups of lights that cross over 2 different rooms. You can work around this with Hue's scenes but it's not as intuitive or as simple as Lightify's groups. Finally, the fading of Philips is much better than Lightify. Earlier, I mentioned that Hue can transition from dark to light, scene to scene and color to color quite smoothly. Lightify can't. It will switch from scene to scene instantly. Even with Lightify's fade in/out (which only works when you manually switch the lights on/off) there's a point when dimming to off, it reaches about 10% brightness then it will just suddenly switch off. Same goes for turning it on, it will instantly go to 10% brightness, then fade to full. Almost all LED bulbs suffer from this (curse of their ultra efficiency) but Philips' fading is still a lot smoother. It won't allow dimming control below 10% but when switching the light off, it will gradually dim to off. Both Lightify and Hue use the Zigbee protocol. Although they only work with their own respective hub as of their latest firmware update (You used to be able to control Lightify bulbs with the Hue bridge but no more) but the Zigbee alliance is releasing versin 3.0 which is supposed to unify all member products. This is a good thing since it may mean that you get the best of both worlds. The scheduling of Lightify and the smooth fade transitions of Hue. Can they co-exist? Yes they can. It's not a big deal to have both hubs and both apps. On Android, both offer widgets so creating a new screen on your phone with both widgets on it isn't inconvenient. And if opening 2 apps is really a big inconvenience, the option of getting a 3rd party hub like Wink will consolidate your smart home appliances into one app. One caveat though is that product specific functions still have to be controlled by the respective brands' hubs and apps prior to 3rd party control. So which one would I recommend? It depends. For mood/colored lighting, I have to say Philips Hue. But for over-all home lighting without the fancy disco lighting effects, Lightify is my preferred option. Osram has to tweak their app to offer smoother scene transitions to really come out the clear winner. Philips has to come up with more standardized bulb replacements, not just funky lamps, and better grouping options. 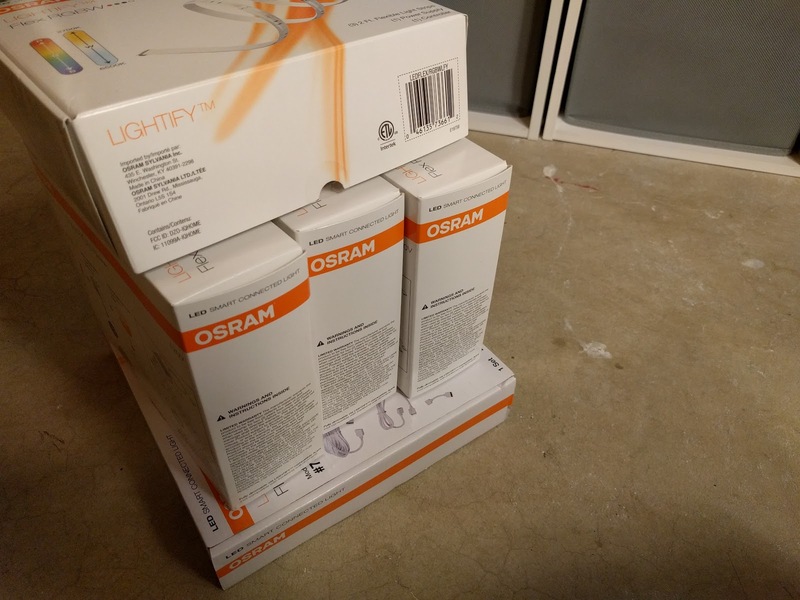 *Update Jan 30, 2017* Osram (LEDvance) Lightify no longer works with Amazon's Echo (Alexa). The skill got crippled and has since been removed from Alexa's skill set. Osram is currently working on the issue but no word on when it will be restored. Boo! **Update Jan 31, 2017** Amazon Alexa skill is back! Whether this is a stable fix or not, is yet to be seen. Will update in a week to report on stability. But as of now, everything works again!